Soak the onion in lime juice for 15 min. ‘Roast’ the outside of tomatoes, chilis, and garlic in ungreased skillet on high heat, turning as needed until charred on all sides. Put roasted ingredients into blender, pulse – but keep the mixture chunky. 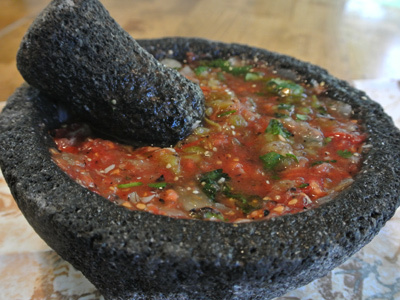 Place in bowl and add the onion, cilentro, and lime juice. 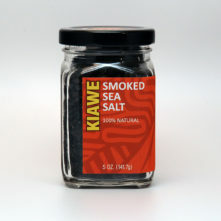 Salt to taste – the smoked salt will also add a roastiness. Refrigerate if there is leftover salsa. Will keep 3-4 days in fridge. This goes great on beef, lamb, pork, salmon, hearty veggies, and creamy pastas or soups.